There’s been a lot of innovations in the mattress industry lately, and many of them deal with different types of foams. Two of the most popular foams for mattresses are latex foam and memory foam. 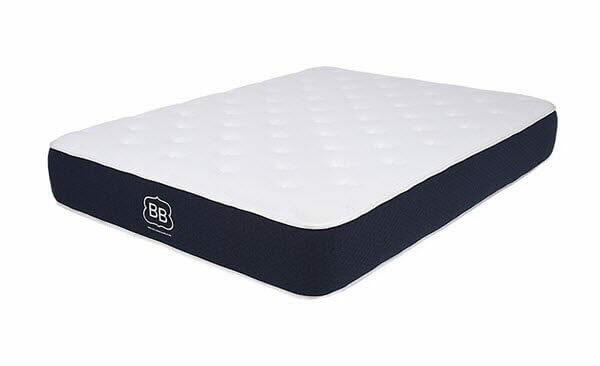 However, there’s not a lot of widespread knowledge about these two distinct products, and that can lead to confusion when trying to pick the best mattress. In order to resolve these difficulties, we put together this guide to help you understand the difference between latex foam and memory foam. This understanding will go a long way in helping you find the perfect mattress for your specific sleep needs. Should I Buy a Latex Foam or Memory Foam Mattress? Buy a Latex Foam Mattress If…. Latex foam is a common mattress material that is made from latex. As a mattress component, latex has more elasticity and a more general contour than memory foam. Latex usually responds much faster than most memory foams, and many couples have reported that they prefer the bounce that you get from latex mattresses when it comes to adult playtime. There are three distinct types of latex foam, based on how the latex in the foam is produced. Natural latex is harvested from rubber trees. The sap from these trees is naturally processed to create foam layers. As a result, natural latex is the best option for people who want to use as many all-natural materials in their lives as possible. There are even several latex mattress companies that use 100% organic latex to create their mattresses, which helps with sustainability and reduces your mattress’s environmental footprint. Most natural latex mattresses will fall between the $1,000-$4,000 price range. Latex doesn’t only come from the sap of rubber trees. Modern science has figured out several different ways to produce latex artificially from other rubber materials, like styrene-butadiene rubber, or SBR. While synthetic latexes do an impressive job at replicating the feel of the original, some claim that they don’t have the same bounce as all-natural latex, and many synthetic latexes aren’t as durable as all-natural latex. Synthetic latex is cheaper to produce though, which can make it an appealing option for many sleepers. Synthetic latex mattresses will usually range in price from $750-$1,500. Blended latex is formed using a combination of natural latex and synthetic latex. The goal of this foam is to provide the best qualities of both materials. That means the bounce and durability of all-natural latex, as well as the lower price of synthetic latex. Different combinations of materials achieve these results with varying levels of success. If you want a lighter feel, faster response, more bounce, and less hug from your mattress, then latex is probably the best bet for you. We’ve already covered the bounce and responsiveness aspects of the material, but the hug qualities are just as important. When compared to memory foam, latex foam produces a more rounded contour around your body. This means that the hug you get from the mattress is less intense. Many sleepers feel like they are sinking when they are sleeping on a foam mattress, or that the mattress is trying to envelope or swallow them. This feeling comes from the sharp contour that memory foam can produce. The more rounded contour of latex creates a general impression around your body, rather than molding closely to it. Additionally, latex is generally better at staying cool than memory foam. While there are some innovations with memory foam that we’ll cover shortly, many of them have been applied to latex as well. One example of this is aeration, or creating a foam with more holes and air pockets in it. Aeration is a popular way of enhancing the cooling of memory foam, as it increases the airflow and thus the heat transfer away from the mattress. The same principals apply to latex. Increasing the surface area of the latex through aeration means more airflow, and thus a cooler mattress. Memory foam is a blanket term used to describe different polyurethane-based foams. The polyurethane gets additives that give it different qualities. As a result, there is a wide diversity in the characteristics you get from memory foam. The universal aspect is that they all have a viscoelastic feel, so they respond to the heat and pressure of your body. Memory foam can be made in almost any firmness. Moreover, it can include other materials like gel, beads, graphite, or more, all of which give different qualities and characteristics to the foam. Memory foams also come in many densities, and they can have a range of response times. Like latex foams, memory foams can also be aerated, or use other form-based innovations to improve the quality of sleep you get from the mattress. Traditional memory foams are viscoelastic foams that respond to the heat and pressure of your body. They create a hug and contour around your body as the material responds. Many people find the feeling that memory foams create to be very relaxing, and so they’ve become a popular material for mattresses. Aerated memory foams have air pockets and tiny holes in them. This style of construction dramatically increases the overall surface area of the mattress, which leads to a greater rate of heat transfer away from the bed. Gel infused memory foam works similar to aeration, in that the gel increases the overall surface area of the mattress to help it stay cool and dry. The gels used also do a better job at releasing heat and moving it away from your body than memory foam does itself. Support foam is the stiffest type of memory foam. It is usually used for the foundation or base of a mattress. It still has the viscoelastic properties that you get from memory foam, but can support much more pressure from your body without sinking. That’s why it’s a great material to use in the foundation of the mattress, and is usually the lowest layer of memory foam in a foam mattress. Memory foam creates a sleeping surface unlike anything else in the world. One of its most distinctive features is the way that it hugs and contours against your body. The result is an impression around your body that many people find comforting. The hug and contour can offer greater support. Moreover, because the material responds to your body, it will sink more where you are heaviest and less where your body is lighter. As a result, it offers consistent support that can help maintain proper spine alignment. One issue that people have with memory foam is that it can sleep hotter than a traditional mattress. This is because of the hug and contour properties that make the material so appealing. These properties mean that more of the mattress’s surface is in contact with your body, resulting in a greater infusion of heat into the mattress itself. Manufacturers quickly recognized that this was the biggest drawback to memory foam as a mattress material, and have come up with several ways to resolve it. Some of the most popular ways include using gel layers or gel infusions, aerated foam layers, special fabrics in the cover the facilitate cooling, different foam recipes, and other active cooling features. The huge variety in methods to deal with the heat retention of memory foam means that it is no longer safe to assume that a specific memory foam mattress will sleep hotter than a traditional innerspring mattress. In fact, these innovations have resulted in several mattresses that actually sleep cooler than traditional innerspring mattresses, so if you love the idea of hug and contour but have been avoiding memory foam because you fear the heat, it might be time to give the material another chance. Now that you know the difference between latex foam and memory foam, as well as some of the distinct types of each material, you’ll want to figure out what the best material is for your new mattress. We’ve broken down some easy ways for you to make this decision. Sleepers looking for more bounce should pick a latex mattress. The material is just bouncier than memory foam. At the same time, it does a pretty good job of minimizing motion transfer. This gives you a feeling closer to an innerspring mattress in terms of bounce, which can be a boon for adult playtime. Latex mattresses are also better for people who want only a little bit of hug and contour. The more general outline that latex foam creates is best for people who feel like they’re sinking when sleeping on a memory foam mattress. Finally, latex mattresses are the best choice for sleepers who want a fast response time. Latex does a much better job of moving with you and reshaping itself to your body throughout the night than memory foam does, so if you like to toss and turn, latex foam might be your best option. One of the best reasons to buy a memory foam mattress is if you want deep compression support. You’ll sink more into a memory foam mattress than you would a latex foam mattress, so you’ll get more hug and contour. This can help keep your body in the appropriate alignment and go a long way in helping you wake up without aches and pains. Memory foam is also the best option for people who can benefit from a slower response time. 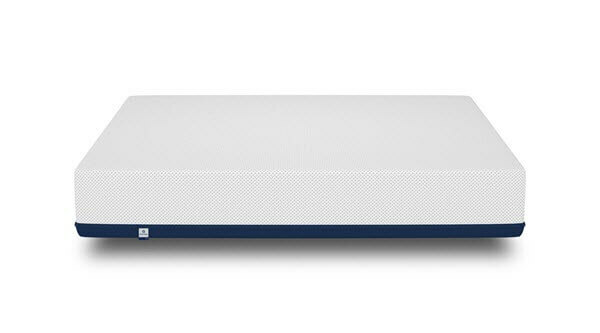 Memory foam can allow you to sink quite deep, provide a comforting hug and contour. If you sleep relatively still, then you’ll love the way that memory foam grips your body and cradles you while you sleep.